Employees are vital to any business, and employee satisfaction is a key to driver to productivity. One way of maintaining high employee satisfaction is the benefits that you offer your employees. 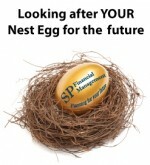 At SP Financial Management we specialise in arranging and implementing Employee benefits. We have set up numerous group pensions and full employee benefit schemes that include thing such as Private Medical Insurance and Death in Service for your employees. As Independent Financial Advisors we are able to search the whole of the market for you, and make appropriate recommendations for both yourself and your employees. If you have any concerns about Employee Benefits, please call us on 0330 123 0135 to arrange a free no obligation review with one of our Employee Benefits experts. For more information on employee benefits, please give us a call for a free initial employee benefits consultation.